UiPath’s partnership with Celonis, the world market leader in enterprise-proven Process Mining software, makes sure you get exactly that, at the touch of a button. By combining Celonis’ process mining software with UiPath’s deployable digital workforce, large enterprises can simplify their RPA initialization phase by mapping processes to discover the best automation opportunities. 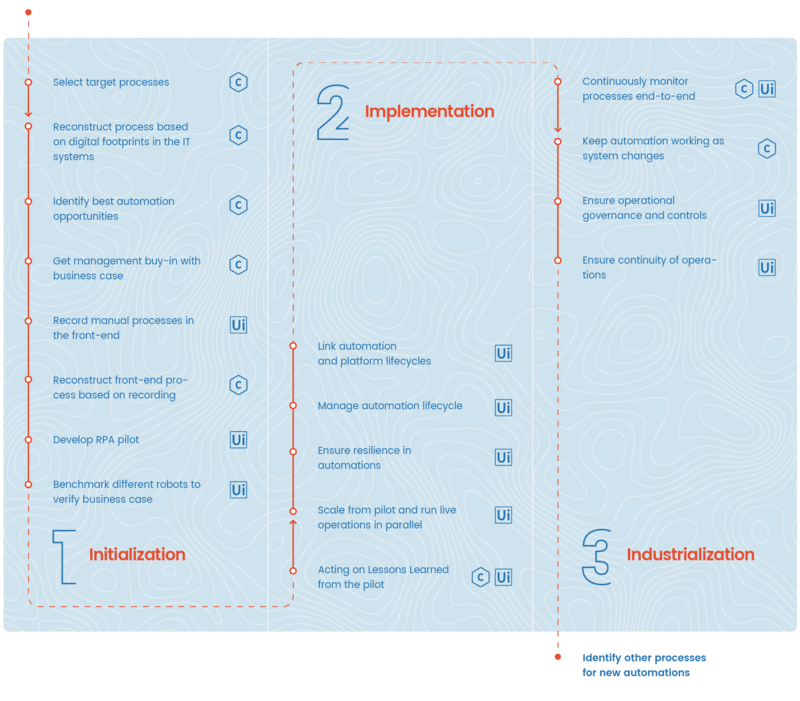 Many enterprises fumble when trying to identify the right processes for RPA within their current operations, and this is exactly where process mining steps in. By accessing and pulling out data already existent in the system, process mining not only pinpoints process bottlenecks and inefficiencies, providing a very clear picture of how processes have been working to date, but it also highlights their level of complexity and whether they are automation-ready. Not to worry, complexity is not an issue: you can always use UiPath's Smart Recorder, a built-in new feature – currently in beta – that records user actions like clicks and keyboard interaction, and then creates a ready-to-automate replica of the process, effectively from scratch. 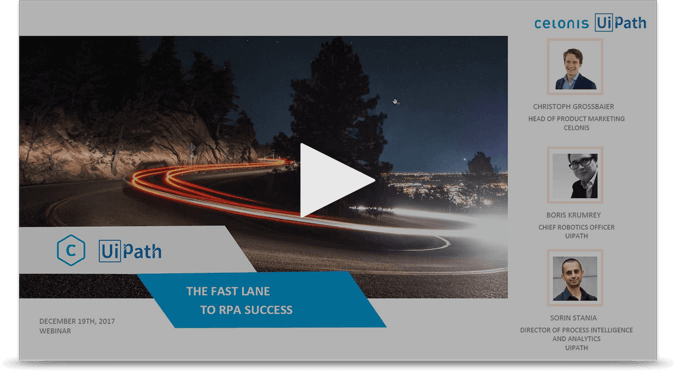 You can then build, test, and deploy RPA in an accelerated and structured fashion.